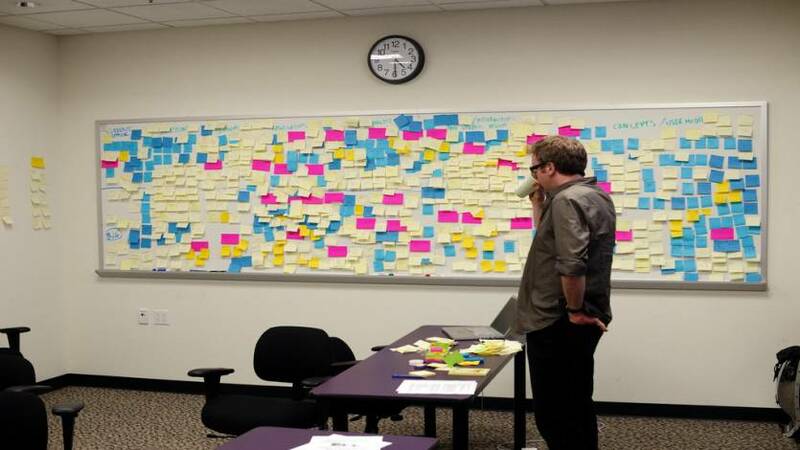 It is easy to be tempted to look at the objective of your user research and pump out a solution that fits your best idea of how to achieve those objectives. That’s because experienced professionals can be quite good at that but then again they can also be very bad at it. It is better to take your objectives and generate some hypothetical situations and then test those hypotheses with your users before turning them into concrete action. This gives you (and hopefully your clients) more confidence in your ideas or it highlights the need for changing those hypotheses because they don’t work in reality. Let’s say that your objective is to create a network where people can access short (say a chapter) parts of a full text before they decide to buy the text or not. (Rather like Amazon does). 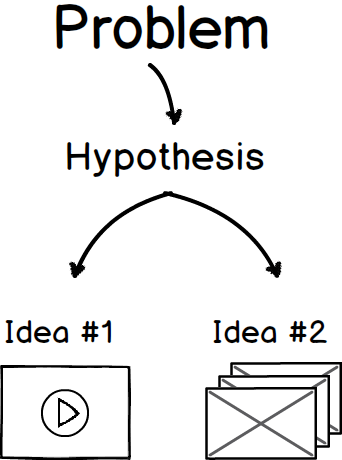 You can create some simple hypotheses around this objective in a few minutes brainstorming. We think that people would like to share their favourite clips with others on Facebook and Twitter. We think that people will only share their favourite authors and books. They won’t share things that aren’t important to them. We think that people will be more likely to share their favourite authors and books if they are already popular with other users. One of the things about design projects is that when you have a group of intelligent, able and enthusiastic developers, stakeholders, etc. that they all bring their own biases and understanding to the table when determining the objectives for a project. Those objectives may be completely sound but the only way to know this is to test those ideas with your users. You cannot force a user to meet your objectives. You have to shape your objectives to what a user wants/needs to do with your product. What happens to our product if our users don’t want to share their reading material with others? What if they feel that Facebook, Twitter, etc. are platforms where they want to share images and videos but not large amounts of text? Articulating a hypothesis makes it easy for your team to be sure that you’re testing the right thing. Articulating a hypothesis often guides us to a quick solution as to how to test that hypothesis. We thought people would want to share their favourite authors on social networks and they did. We believed that the popularity of an author would relate to their “sharability” but we found that most readers wanted to emphasize their own unique taste and are more likely to share obscure but moving works than those already in the public eye.